Is it real and does it work? How about a real method of making money? Richard Lustig has won the lottery 7 times over a period of 17 years and says that he has developed a system to increase your odds of winning too. Is it real? Let’s find out! I stumbled on this system while going through some emails in my huge email subscription. The title got my attention so I decided to see what this system was really about. 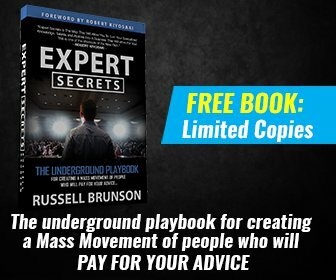 In this review, I will be going over some important facts about this system and you are thinking of buying it, you will want to go through this first. This system claims that it has developed a method to generate lottery numbers that increase your chances of winning. Wouldn’t this be very nice? But is it real or is it just another one of those low-quality systems that just want your hard-earned cash? Let’s take a look, shall we? By watching the sales video I learned that Auto Lotto processor is supposed to pick lottery numbers that have a better chance of winning. The video starts out by showing a lady that won $100,000 and another one that won over $59,000 using this system. Then he introduces himself “hi my name is Richard”. At least this guy is real! I did some research and he is in fact who he claims he is. He’s even been recognized by Ripley’s believe it or not as the only person in the world that has won the lottery that many times. He says that he has studied lotto winning numbers on a lottery website and found that there were common components and patterns in the winning numbers. Richard Lustig has developed this system that is supposed to give ordinary people a better chance at winning at any lottery than just any random numbers and it’s supposed to work with any lottery games in the USA and the world. This program was developed “by his team of experts” using a special algorithm that determines which numbers are due to come up on the next lottery based on the laws of probability, statistics, analysis, probabilities, and calculations. 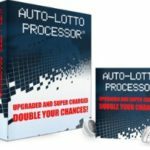 This system is supposed to keep a “running memory” of past lotto winnings and compares it to the most recent winning lotto draws and then enter the data in their algorithm and analyses it. If you look at it in a practical sense, it’s almost like counting cards at blackjack. However, the system uses math to determine which number hasn’t been drawing for a while. Based on these and the laws of probability, every number in a lottery should have the same chance of coming out, therefore, when a number is overdue the chance is that it should come up. He claims that this system increases the chances of winning because it reduces randomness. Do you want to put the odds in your favor and use a system that has nothing to do with anything random? Richard Lustig himself has won the lottery 7 times, has published a book about winning the lottery, has been on many TV shows and news programs and has been around the Digital Product Industry for quite a while. The last time he won the lottery though, was in 2010 and has been selling digital products and his book since then. I did a little research and found at least 3 other systems on the digital market related to Richard. From what I understand, after watching a few minutes of the sales videos or reading the sales page, they are all the same products/systems and are all from Richard Lustig as Auto Lotto Processor, with the same sales pitch and the same statements as to how the system works. It’s not hard to conclude that this system is just a rehash of one of these other systems then. This is an obvious indication that these systems eventually run their course and he gives it another name to keep on selling the same system under a different name. There are many testimonies of people saying they have won the lottery with this system, but they are all unverifiable. It was even harder to find out if they were really a result of using this system. It’s really hard to tell if it will really give you an unfair advantage over other players by giving you the ability to predict winning numbers. Then I dug a little deeper about Richard Lustig himself and found a Lottery Pool system to his name called LottoLishus.com. This one offers some sort of lottery pool for Mega Millions and US Powerball. It’s hard to figure out exactly how it works, but it’s like joining a lottery pool with your friend, but instead this time you join with total strangers. You have to join a membership (and of course give them a credit card number) and then share any winnings with the pool you are in. I did not buy the book, so I will not do a critic on it, but found out it’s a that it’s a 40 page “booklet” that sells for $40. I don’t want to discredit this book that took the No. 3 spot on Amazon’s list of best-selling self-help books at the time it came out. He became so popular with this book that he was featured on many TV news cast and shows. It’s up to you if you want to read it you will be able to find it here: Winning Lottery Method. By the end of my research, I ended up on this article from lotterycritic.com confirming that Mr. Lustig has passed away last July 30, 2018, at the age of 67. But all of his digital products and his book are still up for sale, so I assume this is part of his legacy to his family. I am not a big fan of the lottery but I do play occasionally. Will this system increase your chances of winning? I doubt it very much. The only thing it will do is leave you with $97 less in your pockets in my opinion (or even more if you buy the upsell). I don’t believe that the lottery system can be cheated. Even if Richard Lustig spent most of his life trying to figure out a way, and was able to win 7 big amounts, it doesn’t mean that it will happen to you. Numbers are drawn randomly and to predict that a certain number will come up would be just pure luck, like winning for that manner. I am not going to tell you what to do and I will leave the choice to you, but you can be certain that I will definitely not buy this one. 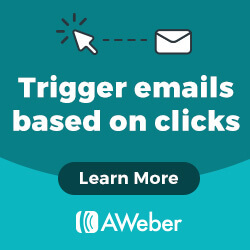 One good thing is the fact that if you do buy it, you will have a 60-day money back guarantee because it is sold on ClickBank. Buying lottery tickets and hoping to win one day is okay, but it will not pay your bills at the end of the month. If you are interested in making money while sleeping though, I have a method that I have been using for the past 3 years and I do make money while I sleep. It’s called Affiliate Marketing. 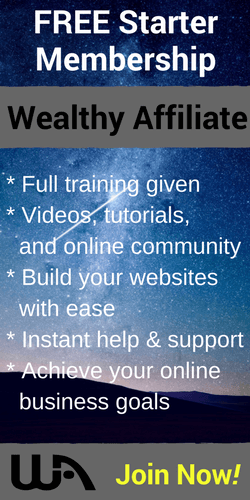 I use a platform that have taught me everything I know about affiliate marketing through a very comprehensive and state of the art step-by-step training. But it’s not just a training platform, it’s a community of like-minded people that are all eager to help each other succeed. You will have everything you need to start a profitable online business all under one roof. From written and video training, to 30-second website builder, website hosting, keyword research tool and the list goes on and on. The starter membership is absolutely FREE, there are no catches, no credit card required. Just provide an email address and you are good to go. Websites, Expert Training and Education. You will get all three along with my services to you as your personal coach when you join me inside. As always, if you have any comments or questions, please don’t hesitate to use the comment section below. I will be happy to assist you in any way I can.